Under Project Utkrisht, railways has granted Rs 60 lakh per rake to upgrade its interiors and exteriors. After the success of Project Utkrisht (best) and Operation Swarn (gold) to provide more premium feeling to the passengers travelling in the national transport, railways has decided to facelift the first-class air-conditioned coaches of seven mail and express trains, a Railway Ministry official said on Sunday. 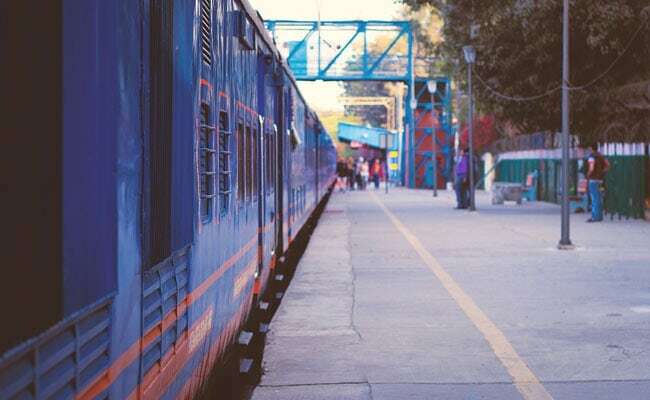 "The first train with the new plush interiors has been taken up in the Kashi Vishwanath Express," said a senior railway ministry official, adding the new renovated coach has been added to the train departing from New Delhi on Sunday. The new features in the coach include new anti-grafitti vinyl wrapping interiors, new curtains, properly worked out bathroom even with the option of taking a shower, he said. The official said that the PVC flooring has been changed. He said the compressed berth cushions have been replaced and fire extinguishers installed in the coach for enhanced safety. Good quality curtains too have been provided in the coach. The official said the stairs of the first-class coaches have also been worked to provide more comfort to passengers. He said the bathroom has been fitted with high-gloss mica having the marble design on long journeys. However, the official refused to share the name of the other trains which are set to get the upgrade under this majore facelift programme. Last year, the railways took up the work of upgrading its existing fleet of Rajdhani and Shatabdi Express under operation Swarn. Operation Swarn was undertaken by railways with focus on 10 key areas -- punctuality, cleanliness, coach interiors, toilets, catering, staff behaviour, security, entertainment, housekeeping and regular feedback. Under this, the Railways has planned to spend Rs 50 lakh on each train. The Rs 25-crore venture covers 30 trains in total - 15 Rajdhani and 15 Shatabdi Express trains. Under Project Utkrisht, the railways planned to upgrade about 140 rakes of the trains in the first phase that would be completed by March 2019. The railways has planned to upgrade about 500 rakes on the trains that still runs on the old Integral Coach Factory design in the second phase. The dustbin of the coaches would be provided with the garbage bag coach and toilets, PVC flooring will be changed in case it is damaged, and faded coach panels will be replaced. The roof of the coach will also be repaired wherever required.